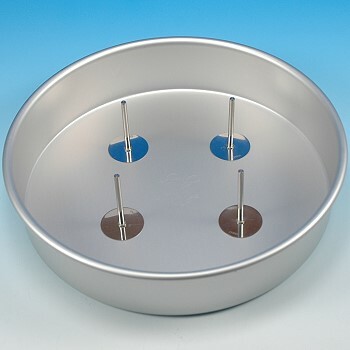 Heating Cores shown placed within a cake pan. 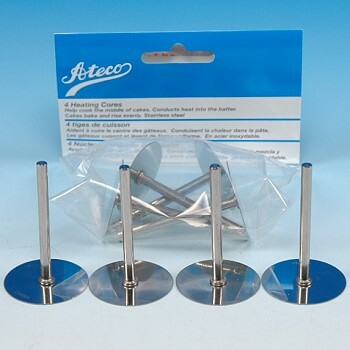 No more under-cooked batter or raw cake centers! Heating Cores conduct heat throughout the batter for a perfectly baked cake. Simply place in your cake pan with the flat side down, spacing them evenly. Add batter and bake. Remove after baking. Crafted from stainless steel and polished to a shiny finish. Dimensions: length 2", base width 1 1/4"